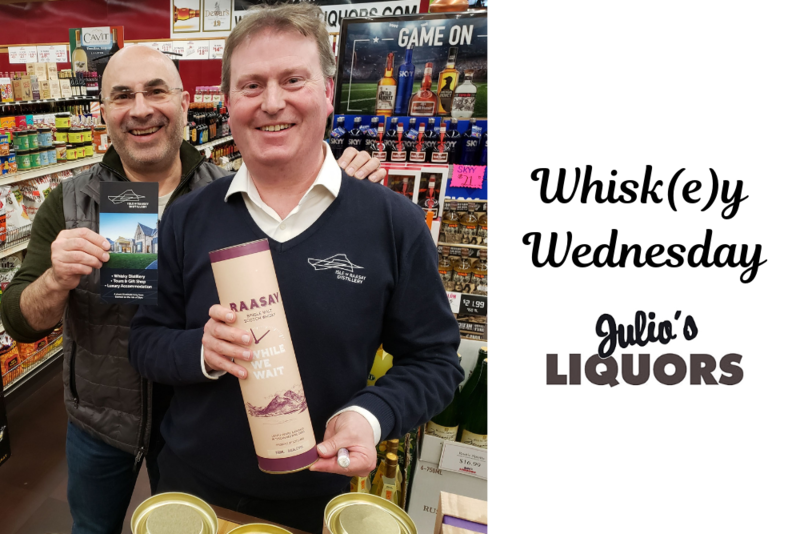 Whisk(e)y Wednesday is a weekly gathering at Julio’s Liquors in Westborough, MA that shines a spotlight on some of the most exciting products in the whisk(e)y space. Alasdair Day, co-founder of the Isle of Raasay Distillery and the Tweeddale Whiskies, shared not only his world-class whiskies, but brought to light the unique project on Raasay as well as his family’s incredibly rich history of blending whiskies in the Scottish Borders. Attendees were blown away when Alasdair made the surprise announcement that he had actually brought his great-grandfather’s cellar book—containing all of Richard Day’s blending recipes dating back to 1881—to show the crowd. Lots of people in the industry claim a long family history, but Alasdair proved he was the real deal! Of course, a bottle signing ensued. Thanks very much to Ryan Maloney, owner and proprietor of Julio’s Liquors.